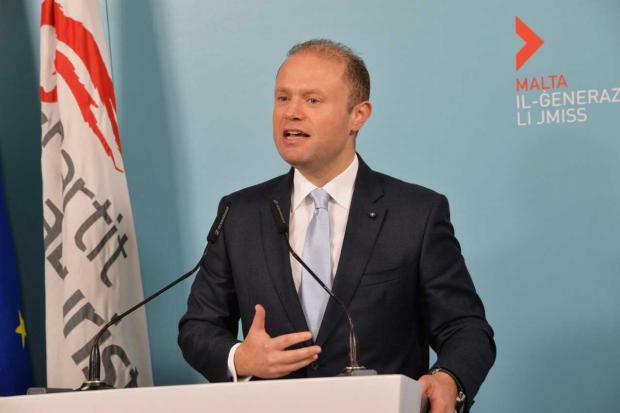 Prime Minister Joseph Muscat said on Sunday he was saddened by the racism and xenophobia shown a week ago in the wake of the death of a young man in Paceville. Such things could not be tolerated and no one should try to create division in society, he said. On Sunday, sections of the online media (not timesofmalta.com) said the young man had died as a result of a blow to the head inflicted by a Bulgarian man. A photo of the suspect was published. But the police later said the man had not died as a result of the blow, and the Bulgarian man may actually have been trying to help him. Dr Muscat, who was speaking St Julian’s, said the government was not there to defend foreigners. Anyone who did wrongdoing, foreign or Maltese, would be taken to court and there was a need for sensibility by everyone, including the media. The presence of foreign workers in Malta was essential for the country, he said. The foreign workers were helping the economy to grow. They were contributing to the country's revenue through their taxes. Referring to incidents involving foreigners, Dr Muscat said incidents were created by both foreigners and Maltese. The issue, therefore, was to improve law enforcement. In his address, Dr Muscat said he was also disgusted about media comments on abortion in Malta. His position was and remained against abortion, he said. Those who wanted to hold a discussion could do so, but there was no issue. In his address, Dr Muscat praised the police for arresting three men involved in an attempted car bomb in Fgura. He also praised Malta Customs for their role in the interception of a major drug haul. He also hailed the agreement on development of Manoel Island, saying a large public park would, as a result, be created in the heart of an intensely built-up area.